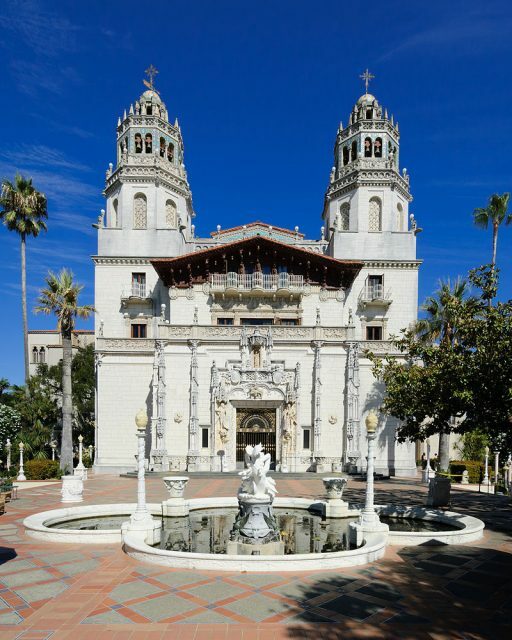 Hearst Castle in San Simeon, California — halfway between L.A. and San Francisco — was named after its owner, newspaper tycoon William Randolph Hearst. The castle reflects its original owner in all its extravagance and luxury. Hearst was one of the most important businessmen of the previous century and he did not want to live in a house that was anything short of perfect. Hearst nicknamed the estate ‘La Cuesta Encantada’ (‘The Enchanted Hill’) and upon completion it comprised of four buildings, 165 rooms and 127 acres of beautiful terraced gardens with panoramic views. The structures consist of the main building, Casa Grande, and three adjacent guesthouses which are all much bigger than an average U.S. home. 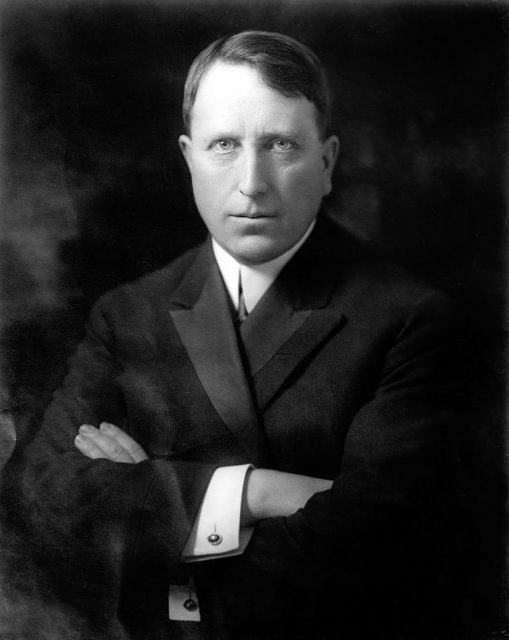 William Randolph Hearst was known as a man who did not shy away from hiring women. He hired the first female editor and war correspondent in history. 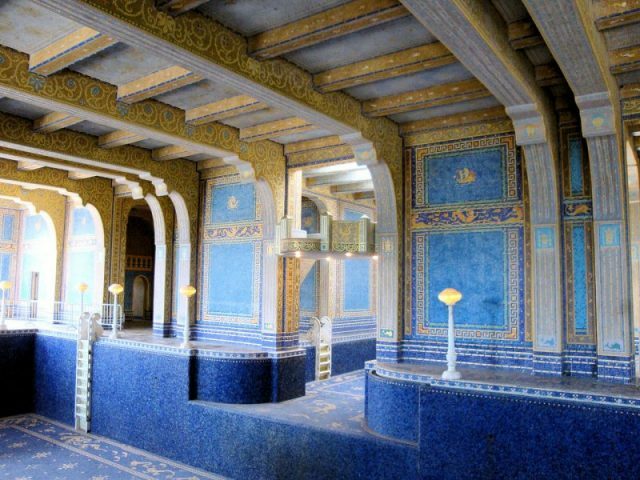 Likewise, he sought services of the architect Julia Morgan when he decided to build his dream home. Morgan had been a top engineering student at California State University. 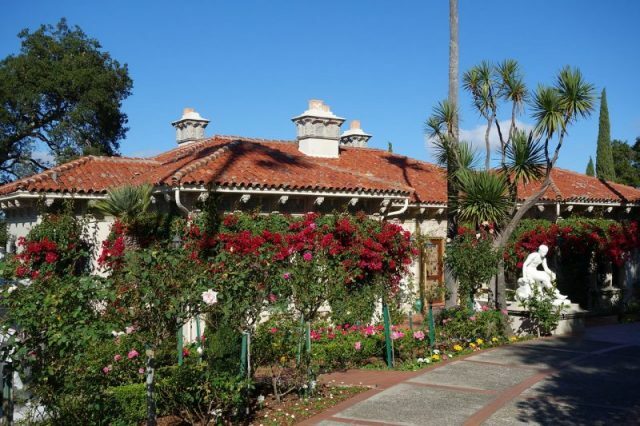 Spanish style guest house, designed by Julia Morgan. Additionally, she studied architecture at the Ecole des Beaux-Arts in Paris which made her the first woman to hold a certificate from an elite architecture university. She worked with Hearst for more than two decades and had an equal say in deciding about the details of the property. The assembly room walls are covered in 16th century tapestries from the Deeds of Scipio Africanus series. The Louvre in Paris is the only other place that houses some of the same pieces, however the ones in the museum are copies. 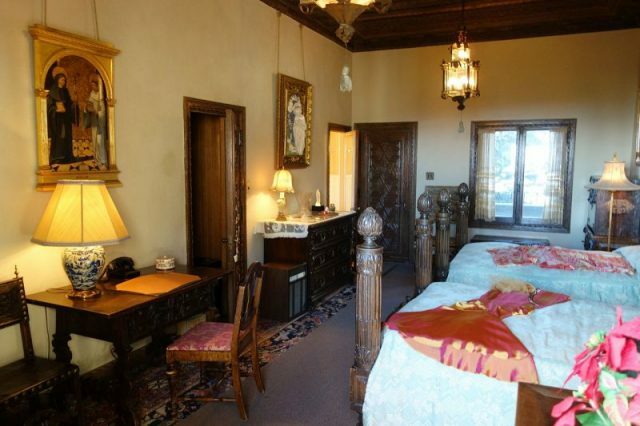 The owner’s bedroom in the Casa Grande was small and modest in comparison to other rooms featuring rare art and items worth displaying in the world’s most famous museums. It could, however, be that he was drawn to the ceiling in the room. It dates back to the 15th century, and it is a polychrome ceiling from Spain, allegedly from the Palacio de los Sánchez Muñoz. However, Allen speculates that Hearst maybe just did not lay too much importance on a bedroom as he was known for sleeping only four hours a night, dedicating his time to work. Egyptian sculptures, Roman columns surrounding the pool and unique art deco ceilings from Spain are all a part of the castle, and all of them are original. He purchased the majority of items at auctions held in the 1920s by the American Art Association, now known as Sotheby’s. After both great wars many European countries sold their art to economically sustain themselves. Luckily, nowadays such pieces are considered national treasures. Allen did not give an exact price Hearst had payed for all these amazing pieces, but he let us wonder when he stated: “It’s shocking how relatively inexpensive it was,” as reported by CNN. 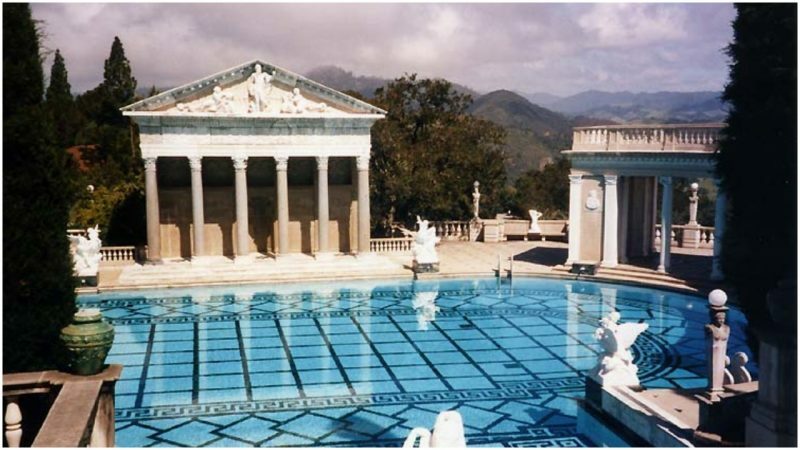 Hearst intentionally chose the location in order to be secluded and to enjoy the quiet of his estate. 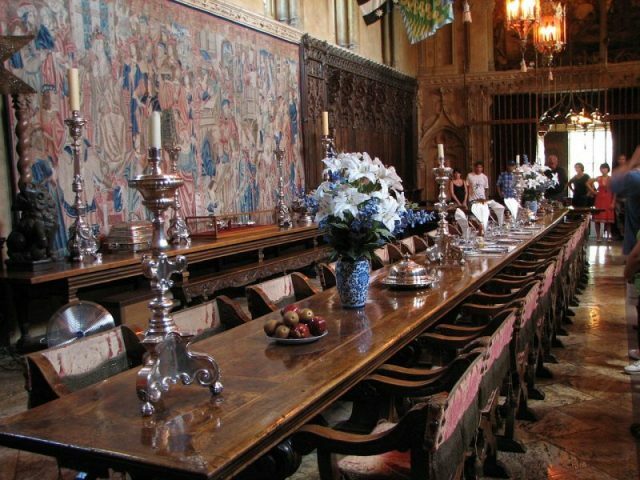 He owned 250,000 acres of land surrounding the castle, so he could be left alone. The land spanned to the mountains that blocked the view of his house from the outside. Additionally, he planted a whole forest to protect the castle from an aesthetically unpleasing water reservoir he had to build on a hillside. The forest consisted of 7,000 Monterey pines, the majority of which still remain today. The star of the show is the Neptune Pool that was restored last year at a cost of $5 million. 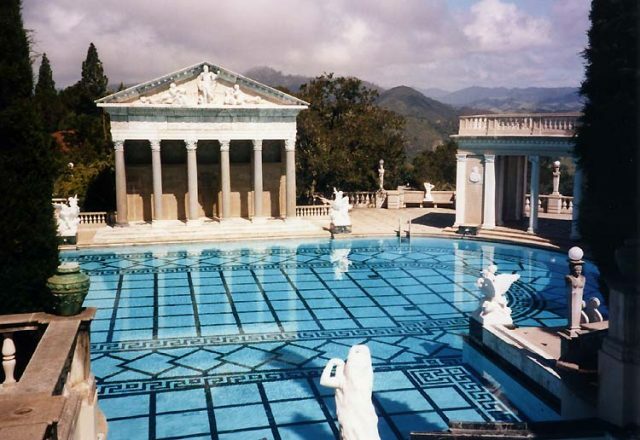 Hearst himself spent all 30 years that the construction of it lasted, from 1919 to 1947. Unfortunately, he died in 1951 which left him only four years to enjoy the beauty of this impressive castle.